Once again this school year, schools will be ramping up robotics programs and opening more makerspaces, according to the latest report from the New Media Consortium and the Consortium for School Networking. As for “important developments” on the horizon, makerspaces (first listed as a trend in the 2015 report) will pick up speed over the next one to two years. As schools continue to foster 21st century skills in students in order to prepare them for the demands of a global workforce, K–12 will see the adoption of more makerspaces and research efforts to surface best benefits and practices. Furthermore, the report noted that “makerspaces were initially lauded for their role in stimulating interest in STEM fields,” but now they are often viewed as conduits to STEAM education with more emphasis on the humanities, visual arts, dance, drama and other areas of the arts (Ravipati, 2017). 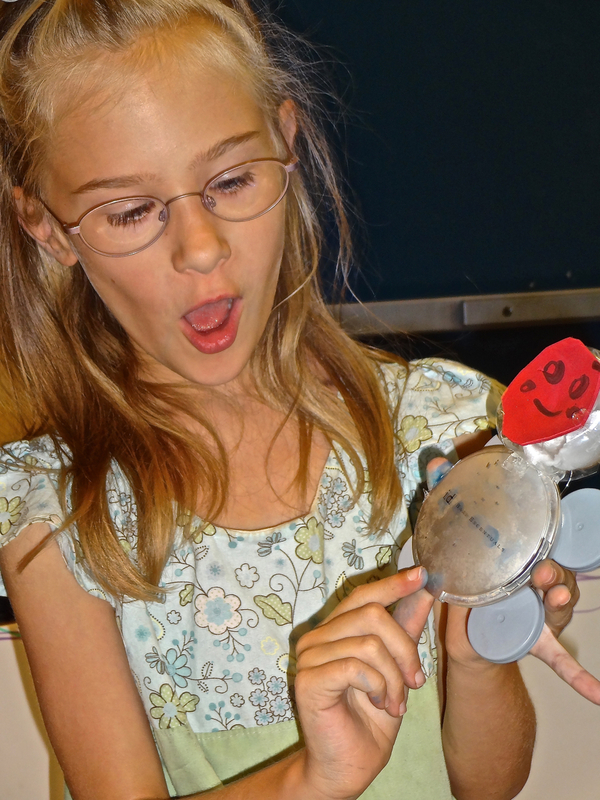 Makerspaces like vocational shops and science labs are great additions to schools. They often contain the tools, machinery, and technologies associated with making – 3D printers, laser cutters, vinyl cutters, high tech robotics, vocational tech machinery. These are great for educational institutions and learners that can afford them. Problems occur when administrators, educators, learners, and communities come to believe that maker education is synonymous with these tools and spaces. First, they may be out of budget for schools especially those serving lower income populations. Second, the regular classroom teacher or librarian may be intimidated with these advanced tools and technologies. Finally, in order to prevent maker education in becoming the educational flavor of the month, administrators, educators, and libraries need to not be seduced by these high tech tools. The longevity and sustainability of maker education will depend on making it feasible, approachable, and accessible to the masses of educators. 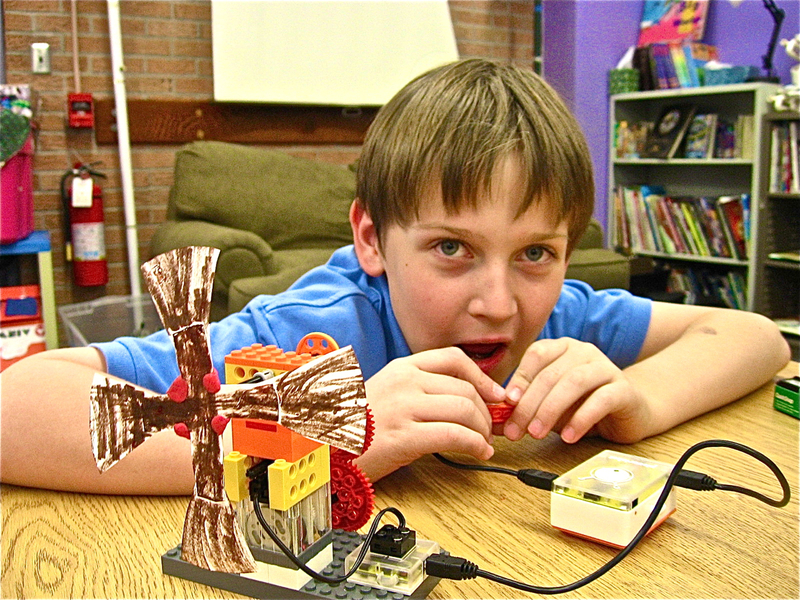 Public focus on maker education often centers on flashy technology, but it is more than just that. Maker education is about building educational experiences that are based in the real world, that allow student choice, and that achieve multiple objectives. Maker education can be used in a variety of ways and projects can be adjusted in scale or scope to meet individual class or student needs. The key to successful maker education implementation is finding project ideas that seamlessly integrate “making” into the lessons. 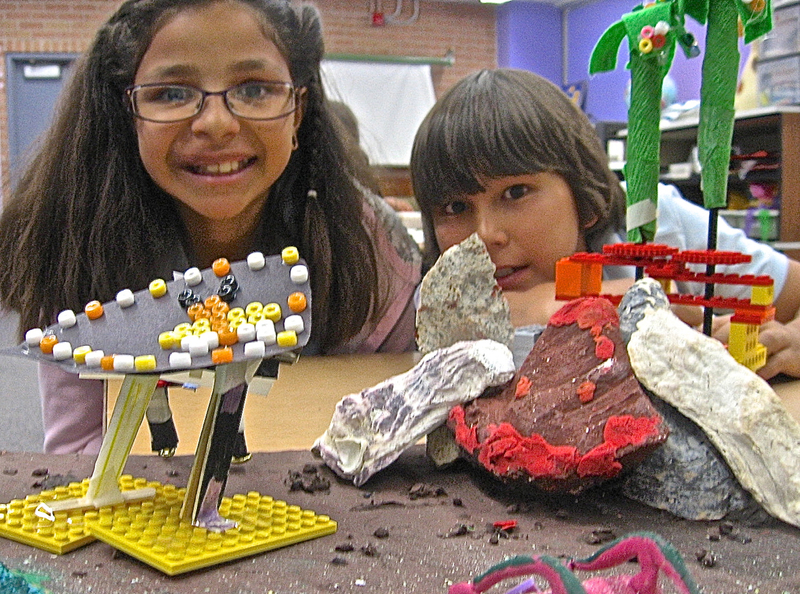 In the end, maker education is all about providing engaging experiences for students that brings out the best in them in the form of problem solving and determination (https://sparkfuneducation.com/what-is-maker-education.html.). The image that often comes to mind about the classroom desk is one that features a plastic chair with chrome legs and a fiberboard tabletop that partially encloses a student’s body (for a history of the classroom desk, see A Visual History of School Desks). The first step for creating a classroom or library space that supports making is to get rid of these archaic pieces of furniture that seem to have been invented more for control than for learning. The idea that students must be seated at desks working in rows is quickly becoming archaic. Technology and collaborative work environments are changing the design of learning spaces. Experts hope that the emerging paradigm will translate into improved learning spaces (Learning Environment: 20 Things Educators Need to Know about Learning Spaces). As a first step, they began with ideas and used them to define the space. Searching questions such as “What types of activities will define this flexible space?” were used to escape the constraints of the physical space and get beyond our own set of normal limitations. The intentional use of flexible seating that form agile and nimble learning spaces support the learning intentions discussed in the previous section. The primary goal of an agile learning environment is flexibility. The furniture in the space, and the technology used within it, are flexible so that it can be configured and re-configured to suit different approaches to learning and teaching. An agile learning environment has the ability to turn a static or ‘dead’ space into a dynamic space (The primary goal of an agile learning environment). There are so many avenues for acquiring materials for the classroom or library seeking to be at least a part-time makerspace. In a learner-centered classroom environment, materials are displayed openly – being accessible to the learners on an as-needed-when-needed basis. Both of the elementary schools where I work have general consumables for educators (and I believe it’s true for most schools): xerox paper, butcher block paper, crayons, scissors, tape, markers, rubber bands, paper clips. These materials are stored openly in bins in cubbies for my learners. What is making? It is a term for an old thing, it is a new term for an old thing. Let me be really clear, making is not simply 3D printing, Art Lino, Raspberry Pi, LEDs, robots, laser and vinyl cutters. It’s not simply carpentry and welding and sculpting and duct tape and drones. Making is also writing and dance and filmmaking and singing and photography and cosplay. Every single time you make something from you that didn’t exist in the world, you are making. Making is important; it’s empowering. It is invigorating, but why? There are lots of results that are good that come from making. We improve the world around us. We show people how much we care about them. We solve problems, both personal and societal (Adam Savage’s 2016 Bay Area Maker Faire Talk). With this expanded definition of making, it follows that the activities and materials in the classroom or library should reflect the diverse learners and their specific interests. Traditional classrooms and libraries are often marked by students at their desks completing their learning tasks quietly, independently with as little movement of possible. This is opposite of what happens in a making environment. The classroom or library becomes loud, seemingly chaotic, and messy, but authentic and engaged learning is often messy. Similar materials can also create a high ceiling or more complex activities such as advanced art projects, most complex paper circuit projects, use of more advanced maker technologies. The bottom line of setting up a learning environment based on the tenets typically associated with making is that learner voice and choice is enhanced. When choice and voice are intentionally built into learning then school and education work. School works when students have opportunities to produce quality work about issues that matter. Education works when people have opportunities to find and develop unaccessed or unknown voices and skills. Audre Lord poignantly describes this “transformation of silence into language and action [as] an act of self-revelation.” Opportunities for flexibility and choice assist learners in finding passion, voice, and revelation through their work (Student Choice Leads to Student Voice). Piaget famously noted that play is the work of children and I have the belief that all humans maintain the sense of wonder of a child. Embedding fun into making; into learning in general increases engagement, joy, creativity, innovation, and collaboration. In our test-driven educational world of today being on task and on time in many schools leaves little time for play. Lunch periods have been shortened and days and years have been lengthened in an apparent quest to make our students into perfect little technicians, automatons who can react specifically in isolation to a set of pre- set stimuli in a consistent and certain way. Little room is left for the unexpected or the un-planned in our modern classrooms. It is a strangely disastrous way to prepare our children for a future where it appears that the only constant will be continual change. By play I do not mean little league, dance, or any other adult controlled activity. It must be kid controlled, kid directed, and kid policed for real learning about life to take place. Is it possible that our current infatuation with the concept that spending more time on something will make it better is so logical and easily observable and testable that just as logic and observation has in the past it might make people believe that the Earth is flat? (“Play is the work of children”….. J. Piaget). 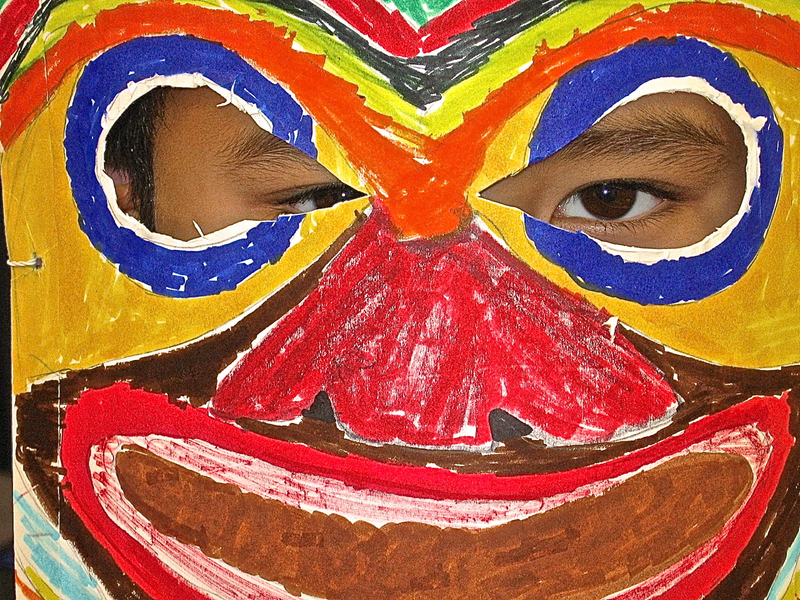 Fun can be felt, seen, experienced when as soon as learners and visitors walk into the space. I love watching the faces on visitors when they enter my own classroom. They light up as they see my sofas, chairs, lamps; making supplies in cubbies in the back of the room; and most of all my learners’ work such as LED lit on student-generated posters hanging on the wall, paper roller coasters in-process of being made, and Lego creations on the Lego wall. The battle cry of educators using educational technology is that the pedagogy needs to come before the technology. I am baffled, then, why I go to edtech conferences and find so many sessions on the technology, e.g., 60 apps in 60 minutes. The same seems to be true for the maker movement these days. Practitioners talk about the maker mindset and then speak of the shiny new toys they use without talking about the context – of what skills and knowledge students learn from it. For example, with the 3D printer, they might talk about the Yoda they made and I say, “So what?” It really is about having a maker mindset not about the shiny, new maker tools. It’s about the making process; about the engagement, creativity, innovation, struggles to complete a difficult task, sense of accomplishment. A cardboard box, for example, can become a chariot, rocket, robot, marble run, Foosball game, dollhouse, Hot Wheels track, house, fort, castle, game. We must exercise the discipline to refrain from attaching too quickly to an idea just because it’s new. Making is no exception, so to truly prepare ourselves to be successful in this new venture, let’s be sure we set our students up to have the right mindset to be courageous innovators (6 Must-Haves for Developing a Maker Mindset). With a maker mindset and some of the strategies outlined above, any classroom or library can become a makerspace. A Model of Good Teaching? The challenges are hands-on and naturally engaging for these kids. 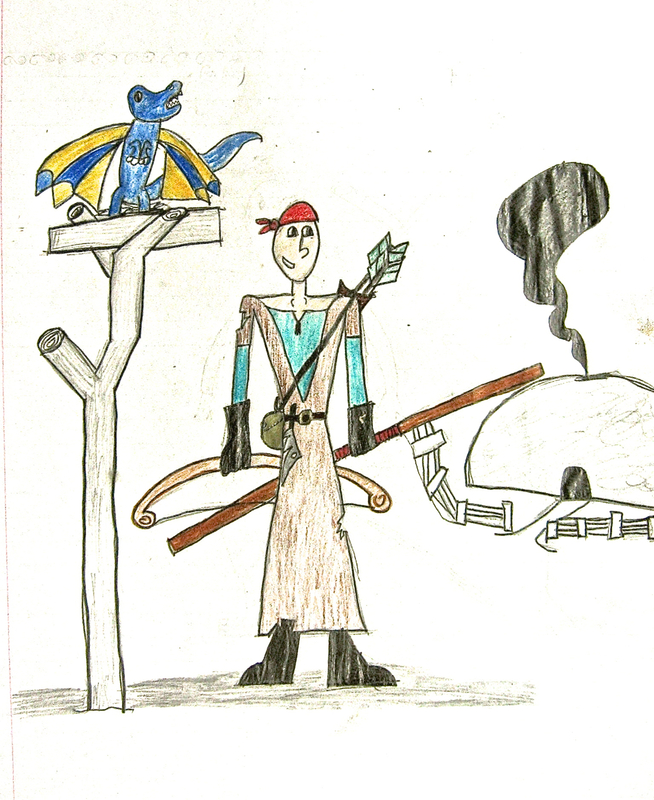 They are based on the kids’ passion for and interest in cooking. The kids don’t need to be graded about their performances. Consequences are natural. Food gets burned. The kids sometimes get burned. The food dishes taste good or they don’t. There is a gamelike atmosphere. There are elements of play, leveling up (each subsequent challenge is more difficult), a sense of mastery or achievement upon accomplishing each challenge. The experience is immersive with the kids living the part of a chef. The kids get to try new roles such as team leaders, lead chefs, team representative, and being popular (this is one of the first situations that some of these kids get to shine). The kids push themselves to the limit within seemingly impossible challenges – mostly because of their love for cooking, a strong intrinsic motivator. The kids often create very difficult food dishes that they have never created before. They often rise to the challenges surprising both themselves and the judges with what they created. The challenges are designed to be novel and create excitement and joy for the kids – there are things like mystery food boxes; the judges introduces challenges are astronauts; the kids cooking for other kids at an amusement. The kids visible shake with excitement and anticipation while the challenges are being introduced. The judges are clear, specific, and truthful with their feedback: both positive and negative. The judges give brutally honest feedback. They are very specific in describing what worked and what didn’t work about about the kids’ food creations. Sometimes the kids cry but there is visible respect that the kids have for the judges and that judges have for the kids. There is an atmosphere of mutual respect . . . kids for the judges, judges for the kids, and kids for one another. The adult judges will come in and help the kids if they see any individual being pushed too far over their limits and capabilities. This intervention is based on teaching the kids proper technique not doing it for them. There is a healthy competition where the kids have to compete against one another. The objective is to win but the kids seem more concerned about their own performance rather than the performance of their peers. The kids, through working together on many of their challenges, develop into a close knit team and visibly support each other. Even though they are competing against each other, they seem to understand they are with like minded peers. In effect, they develop their own PLNs based on similar interests. For some, it is the first time they have been with peers with a passion for cooking. Many cry when one of their peers in eliminated from the competition and say that they made friends for life. That their passions and interests are valuable and meaningful. Many of the kids in interviews following their elimination from the competition state that it was the best experience of their lives. I have a hunch that many of these kids would say their MasterChef experiences taught them as much or more than all of the school years combined. I’ve written about creating the conditions for the best day ever. Educators, in this era of learning, should focus on those conditions that create an environment that each and every one of their students love coming to school and love learning. One of the common teacher rituals when beginning the school year is the set up of the classrooms. Teachers, driven by best intentions, set up their classrooms in ways they believe will promote learning. But, inadvertently, the message given to students is that this is my (the teacher’s) classroom not yours. 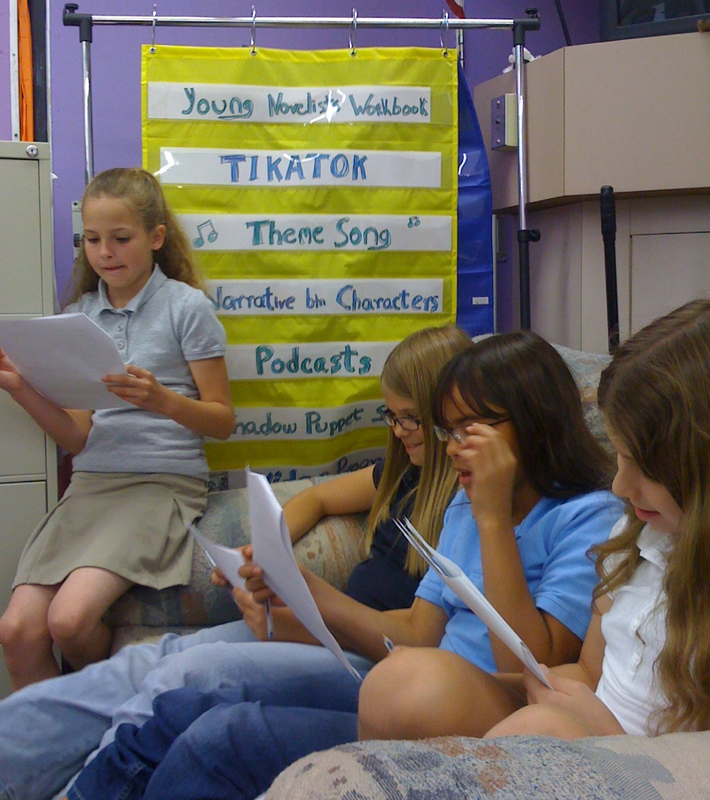 The classroom becomes the teacher’s narrative, not the students’ individual narratives. Even when the teacher puts up student samples, it is often the teacher who selects the samples and the spaces where the samples are displayed. In Learning Spaces (School?) as Narrative Architecture, I discuss the importance of creating learning spaces where learners can develop and share their own unique voices, develop their own personal narratives of learning. The essential question becomes, How can the educator create the learning spaces to elicit the positive power of narrative architecture? This would be a space where learners feel as though they can tell their stories as the producers of their own learning. Learners working in collaborative learning spaces will interpret and form the learning space to have personal, and ultimately collective, meaning. They do so in all learning spaces. Does the learning space create stories of boredom . . . fear . . . isolation? Or does it create stories of engaged and passionate learning experiences? Because I fully believe that since time spent in any learning space becomes a narrative architecture for the learners, educators should approach that space with intention, knowing that learners will draw from and create meaning in and about that space. The how-to of creating this Narrative Architecture becomes having the educators and learners co-create this space together – all being equal participants in the process. The space then becomes part of the learning process – increasing the opportunity and potential for deep and indelible understanding of the learning process and content. In Beginning the School Year: It’s About Connections Not Content, I discuss Roomination when I began the school year teaching 6th graders by just piling the furniture and wall decorations in the middle of the room. In small groups, students developed blueprints for the classroom. Teams presented their designs to the rest of the class and their favorite design was voted upon. Students arranged the room according to the winning design. 4 Lessons The Classroom Can Learn From The Design Studio: Perhaps the lexicon of education is broken. While the traditional construct of “classroom” may limit how we interact within our spaces, the labels of “teachers” and “students” (not to mention the conflation of authentic learning) may paralyze our progress as well. What would happen if classrooms operated more like studios? What if eighth-graders reinvented the classroom? The students researched what their peers wanted in terms of school furniture, sketched out their ideas, created 3D computer models and physical mock-ups, and learned about appropriate materials and manufacturing techniques. Their prototypes then were made public at ICFF. Note: At 4 minutes she discusses how they asked the high school kids to design their cafeteria. As a former outdoor educator, I experienced how the physical leaning space contributes to the learning process in the best environment available – the natural one. See DesignShare, http://www.designshare.com/, for more information about importance of learning spaces. I also believe that a purpose of education and the educator is to provide learners with a framework and skills for directing their own learning (hence the name of this Blog – User-Generated Education). Part of the process becomes giving the opportunity for learners to develop and share their own unique voice – about how and what they want to learn and actually do learn. Today, I heard the term Narrative Architecture for the first time. From Latin, narrativus means telling a story. In mid 16th century architecture from Latin, architectura means the art or practice of designing and constructing building. Started from both of definitions, narrative architecture means an art of designing and constructing building to tell a story. 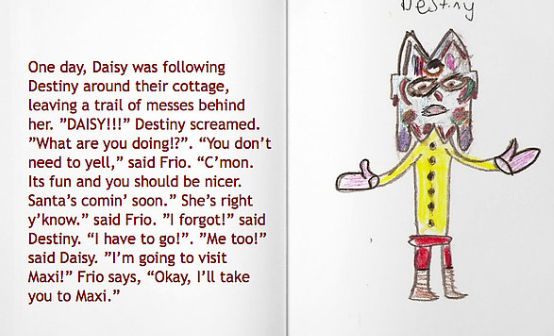 If novel, fiction, comic, and folktale tell the story by texts and picture. If painting and photograph tell the story by a great picture. If movie tells the story by moving picture and sounds. Architecture tells the stories without texts, but by geometrical form, space, and materials. Narrative could be translated into architectural form by envelope materials, route, event, rooms, and also smell, sound and light effects. The essential question becomes, How can the educator create the learning spaces – real life and/or virtual – to elicit the positive power of narrative architecture? This would be a space where learners feel as though they can tell their stories as the producers of their own learning. Meaning is not exclusively in the morphological properties of space themselves, nor in the cultural processes of its formation and interpretation, but in the dynamic network of spatial, social, intellectual and professional practices that embody and produce different kinds of social knowledge. Learners (real life or online) working in collaborative learning spaces will interpret and form the learning space to have personal, and ultimately collective, meaning. They do so in all learning spaces. Does the learning space create stories of boredom . . . fear . . . isolation? Or does it create stories of engaged and passionate learning experiences? Because I fully believe that since time spent in any learning space becomes a narrative architecture for the learners, educators should approach that space with intention, knowing that learners will draw from and create meaning in and about that space. Interestingly, Henry Jenkins used the concept of Narrative Architecture in his ideas regarding interactive gaming. The game space becomes a memory palace whose contents must be deciphered as the player tries to reconstruct the plot. Game spaces are designed to be rich with narrative potential, enabling the story-constructing activity of players. The learning space becomes a memory palace whose contents must be deciphered as the learner tries to reconstruct what he or she is attempting to learn. Learning spaces should be designed to be rich with narrative potential, enabling the story-constructing and sense-making activity of learners. The how-to of creating this Narrative Architecture – whether in real life or online – becomes having the educators and learners co-create this space together – all being equal participants in the process. The space then becomes part of the learning process – increasing the opportunity and potential for deep and indelible understanding of the learning process and content. 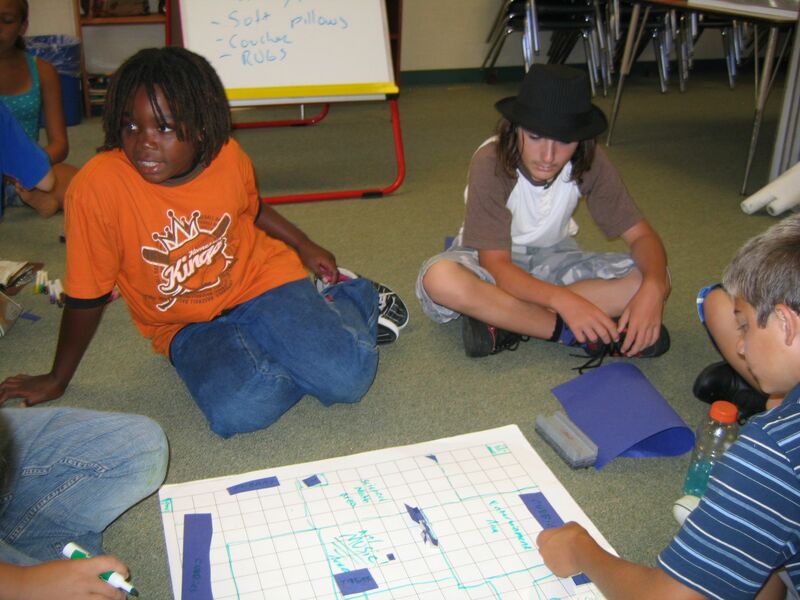 Photo: My 5th-6th students (a few years ago) creating a blueprint of how the classroom should look. The classroom was NOT set up for them prior to the beginning of the school year.